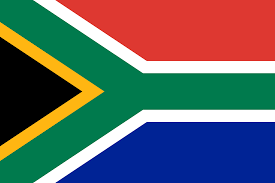 South Africa is currently Young in Paradigm, with rising Mature. It is Moving Centered in emphasis. Prior to today and during historic mass slavery, the "Black Race" used to be primarily Mature, with the "White Race" primarily Young - but after freedom+rights were secured, the dynamic of the Black Population shifted towards Young who would take advantage of that freedom, and more Whites became Mature. There is an evident few of Older Souls in South Africa as well.